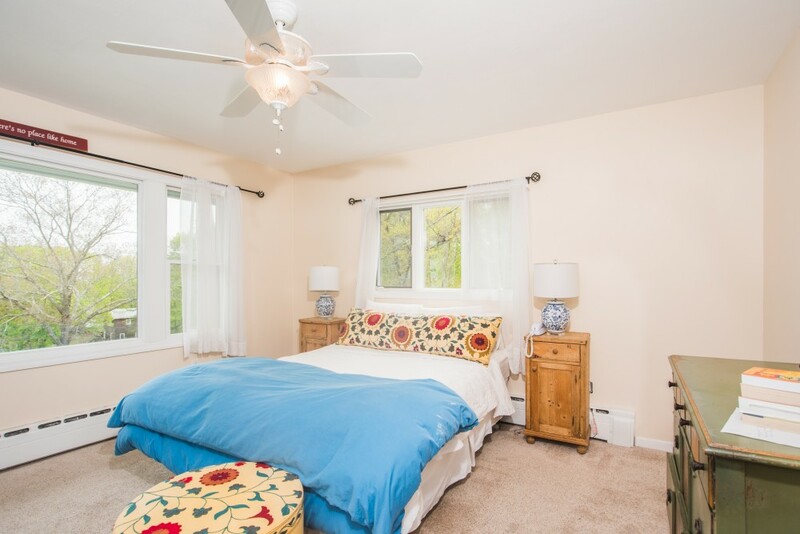 Located on the West End on a quiet street with elevated views over West Harbor this 5-bedroom ranch style house is in great condition. 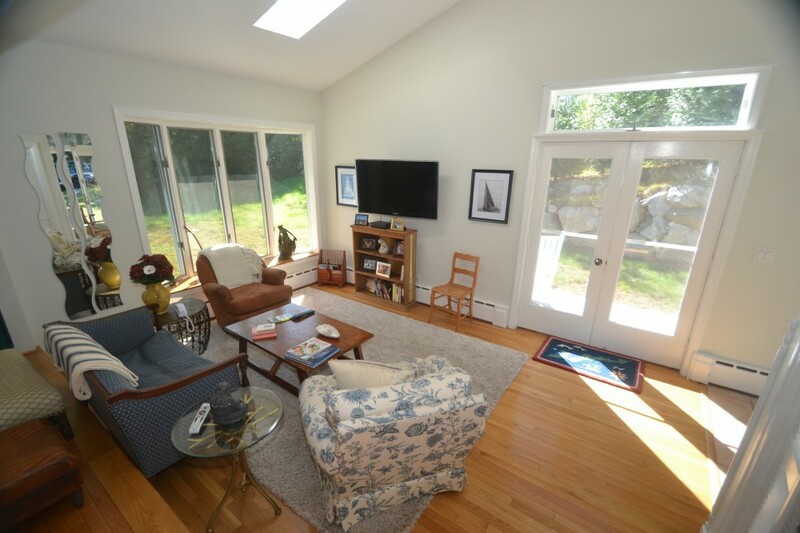 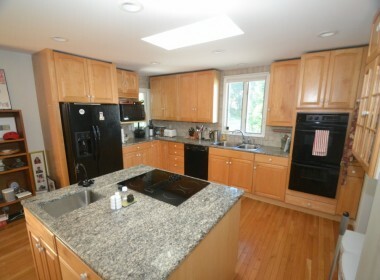 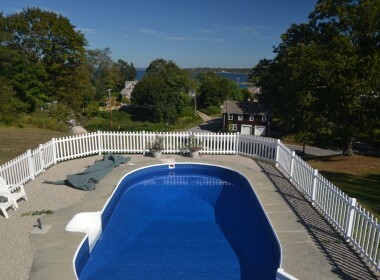 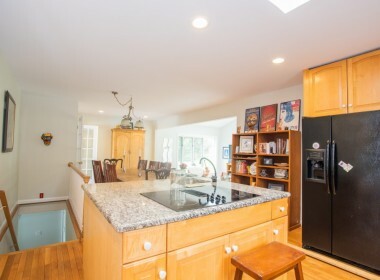 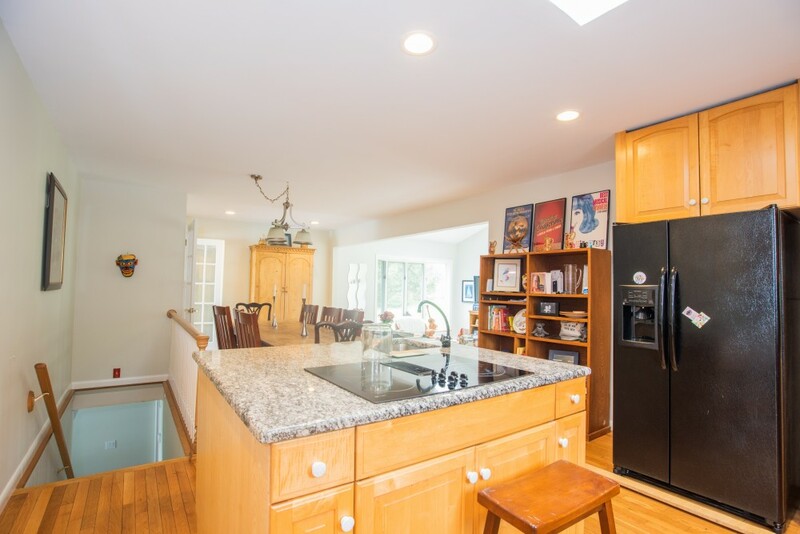 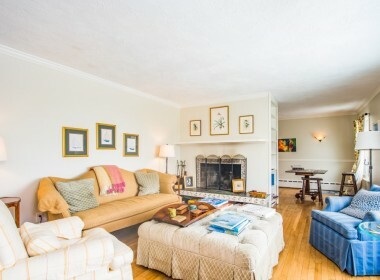 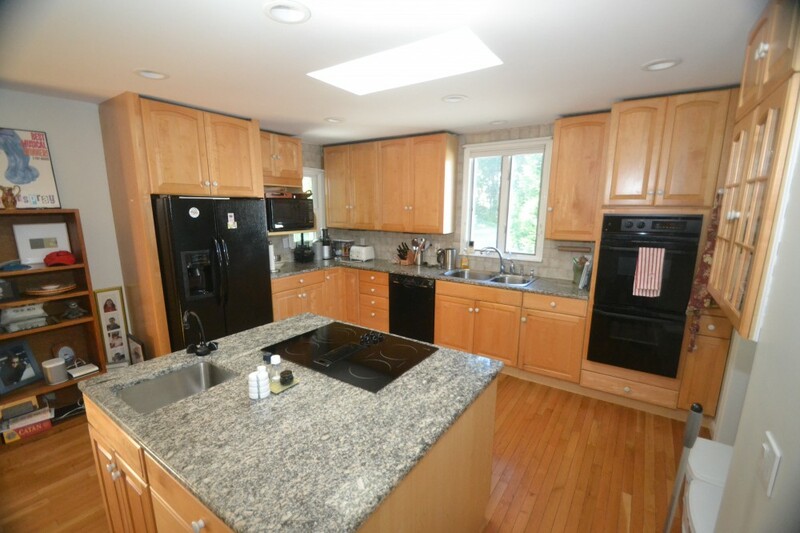 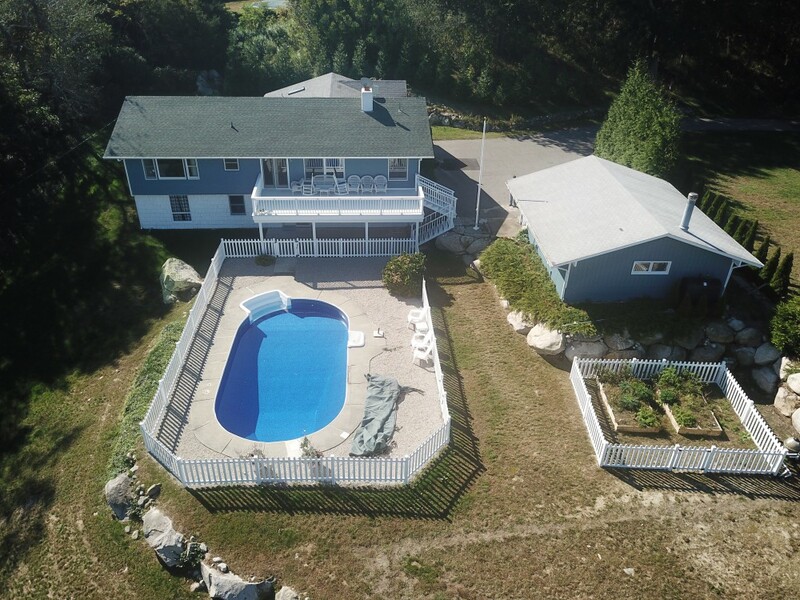 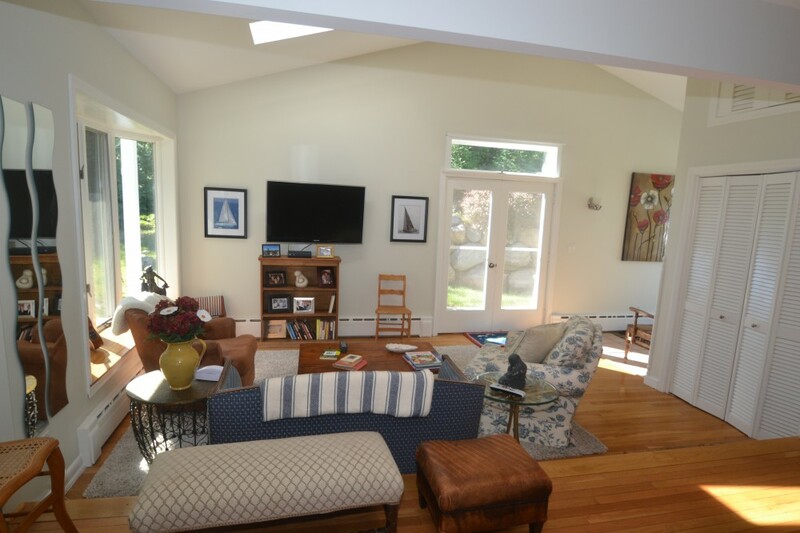 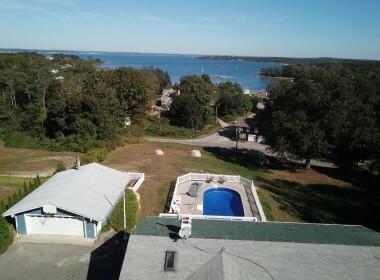 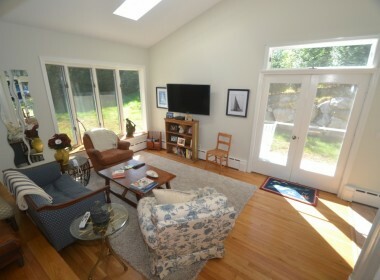 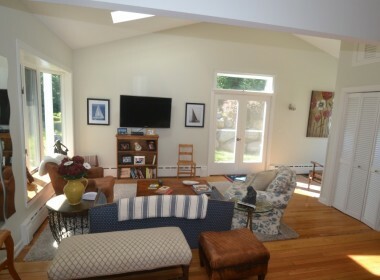 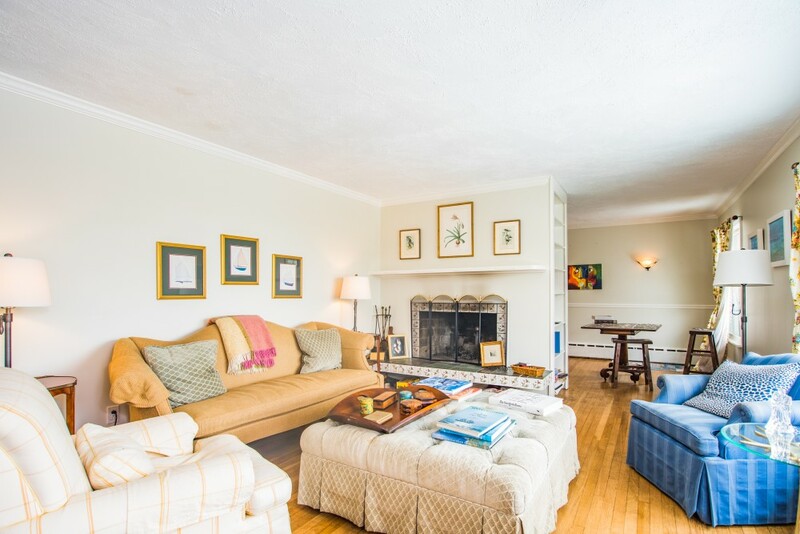 It is located at the end of Alpine Ave. (road between the St. Johns Church and Library) on 1.13 acres with plenty of privacy and views looking North towards the mouth of West Harbor and CT. beyond. 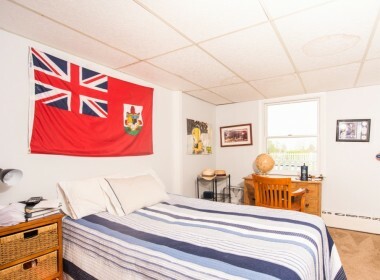 The current owners purchased the property about four years ago and have done many renovations and upgrades and the house is in near perfect condition. 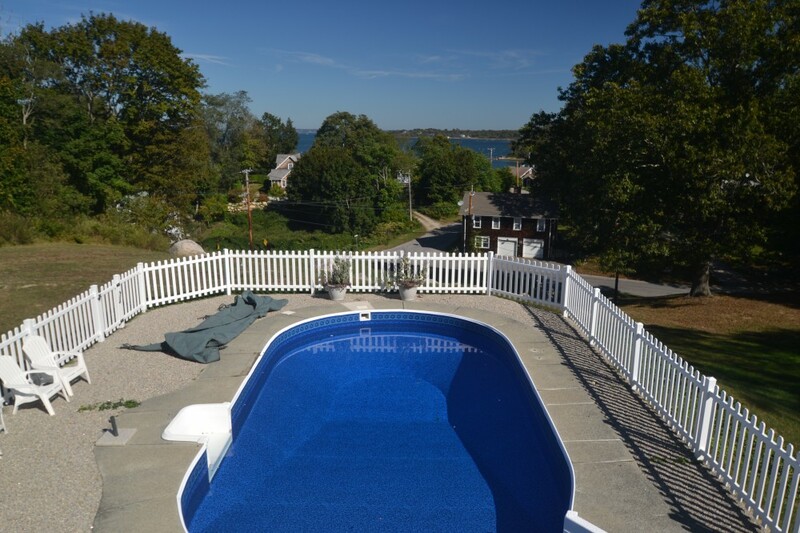 All of the decks have been rebuilt, the roof is new, the exterior painted, a pool liner installed, a new furnace and the list goes on. 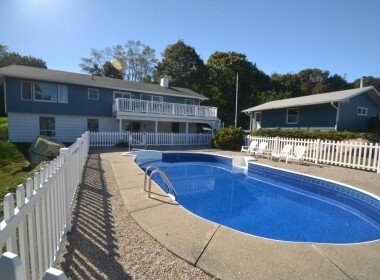 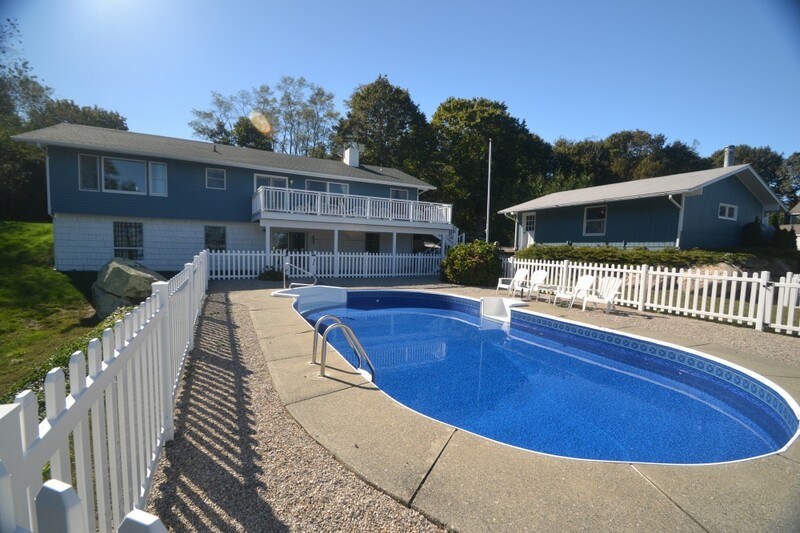 The main floor has two living areas, an open kitchen plan, 3 bedrooms and two bathrooms as well as a large walkout deck overlooking the pool and harbor views. 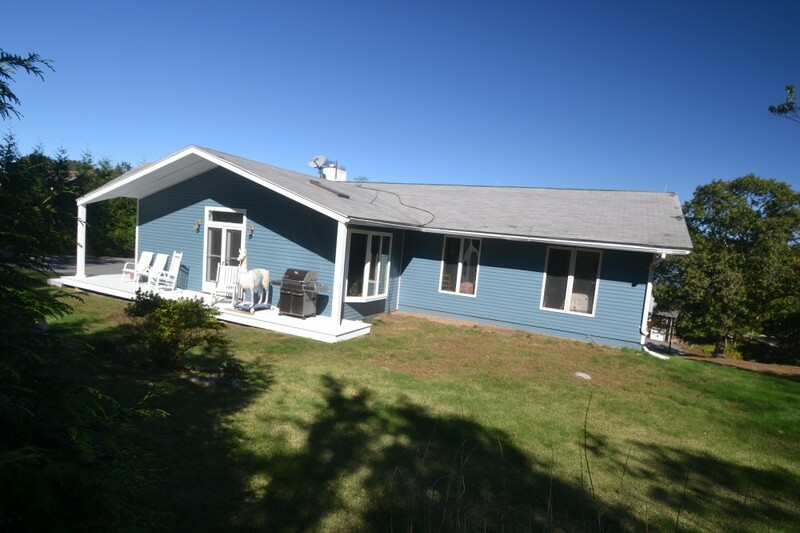 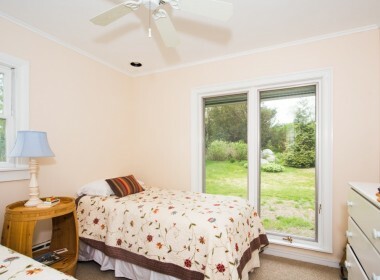 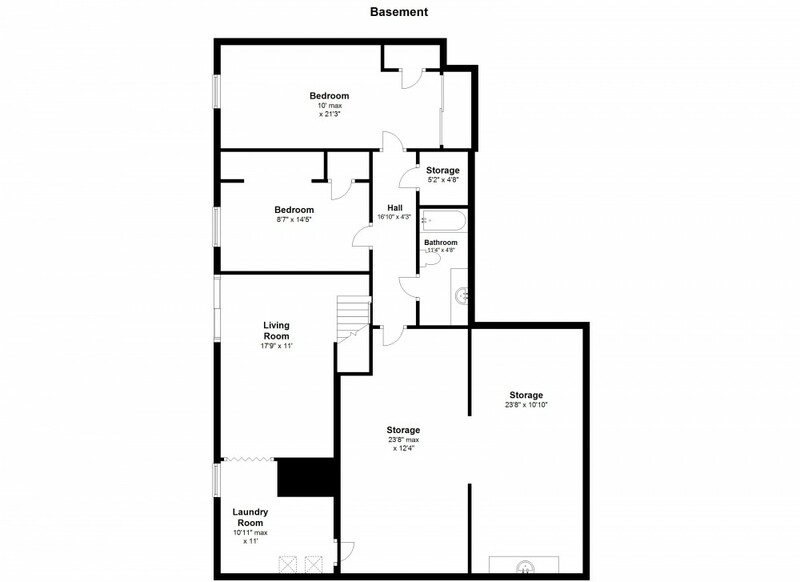 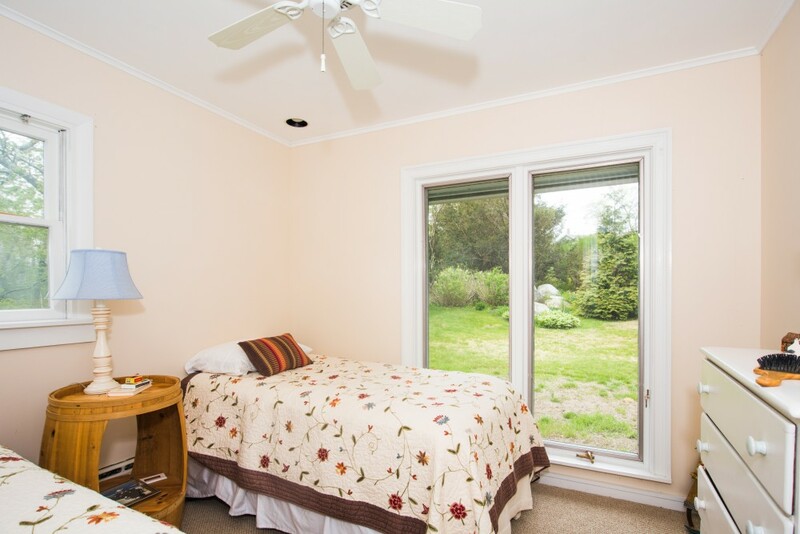 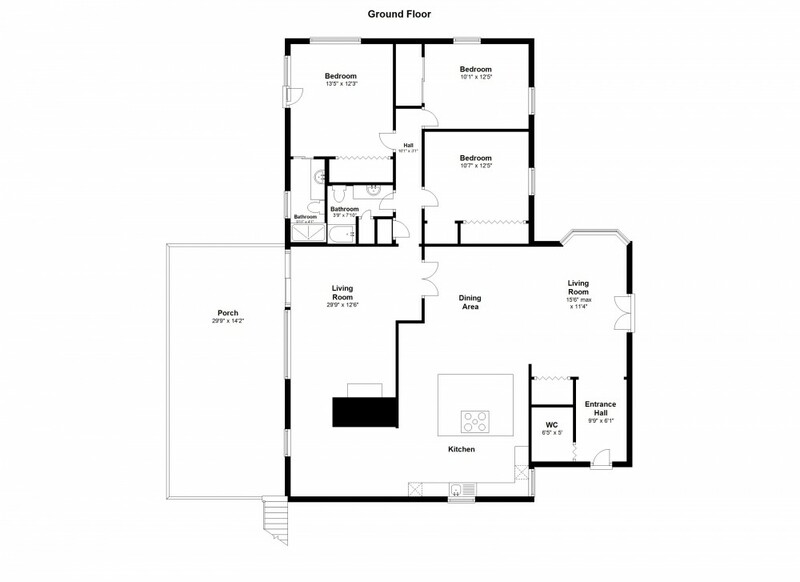 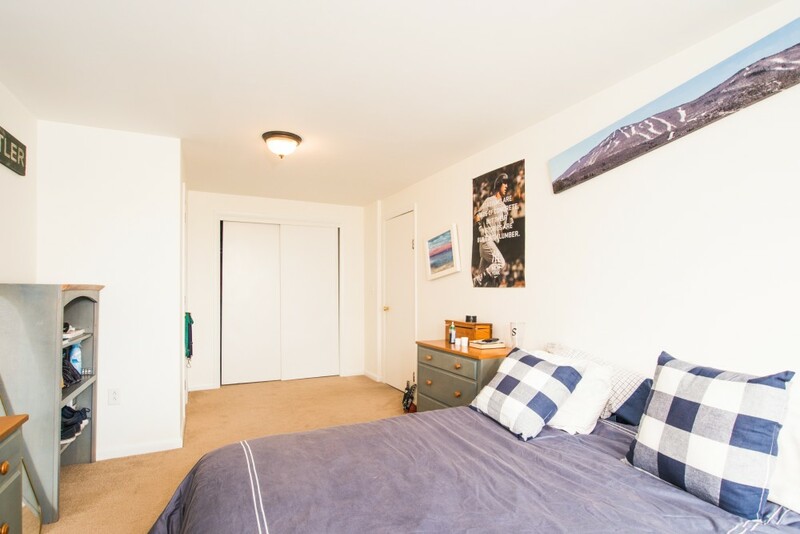 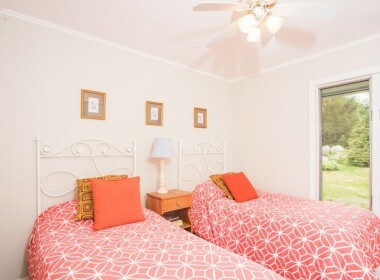 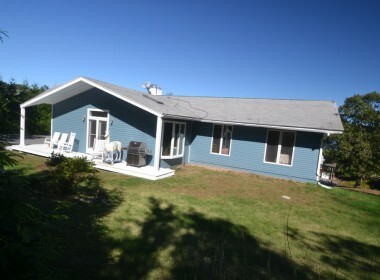 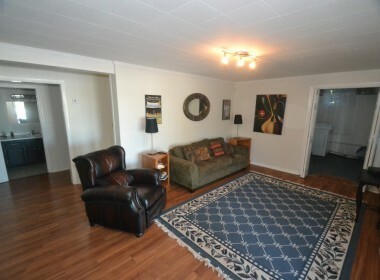 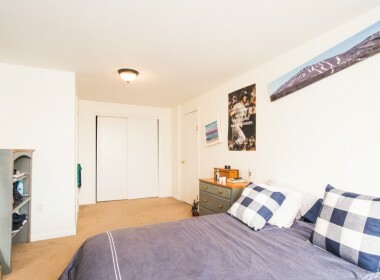 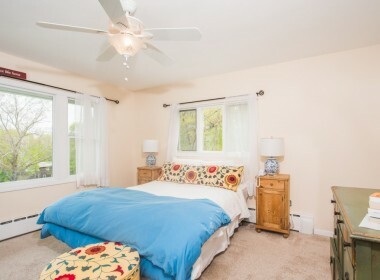 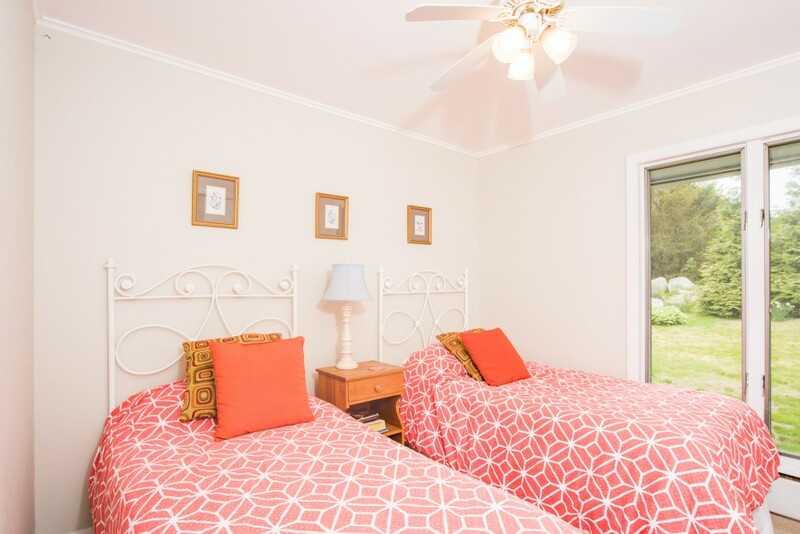 The ground floor has a family room as well as 2 bedrooms and a full bathroom. 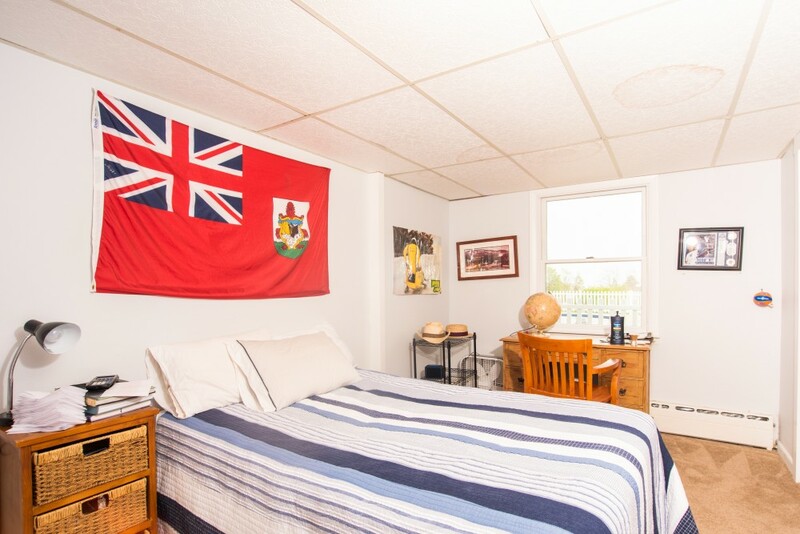 The house can entertain and sleep a lot of people and there is also an oversized garage and newly installed garden.It is a great opportunity to own a winterized and well maintained, manageable 5-bedroom house on the West End with privacy and views. 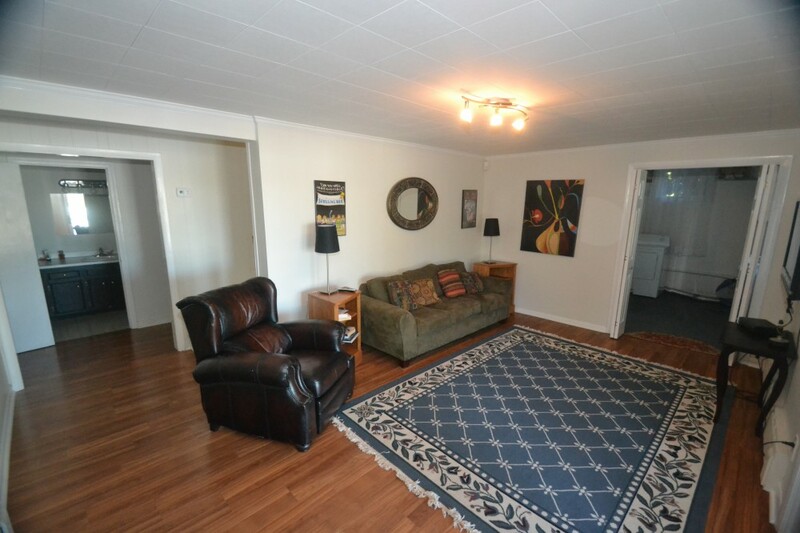 Living room fireplace is functional.